Back for another year, Oktoberfest Asia 2018 is bringing you a fully air-conditioned festival-styled marquee for all your beer-guzzling needs. Get ready to chug beers from the finest breweries such as Weihenstephan Brewery and Benediktiner Weissbier. What is Oktoberfest without German food? Get your stomachs ready for some hearty platter of bratwurst and sauerkraut paired with robust beers. Enjoy the festival by grooving to live music by a band from Munich. So bring your friends out for some roarin’ good fun! 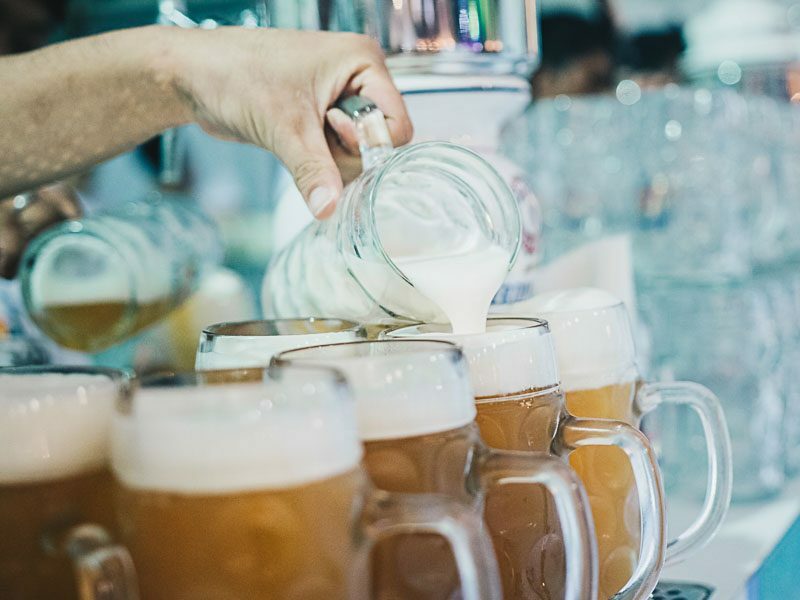 Regular ticket holders get a platter of Oktoberfest delights with free-flow beer, while VIP festival-goers get to enjoy a special buffet menu, free-flow beer and a goodie bag. Oktoberfest Asia 2018 will also have a one-day celebration, especially for families! You can bring your children along on the Sunday of that weekend and admission is free for children below the age of 12. If you’re looking forward to this year’s Oktoberfest, snag your tickets now before they sell out! Dates & Times: 18 – 20 October 2018, 6pm – 12midnight (main event) | 21 October 2018, 11am – 8pm (family day).